Thaddeus Mansker (1842-1912), Myra Ryan/Rhyns(?) Underhill and children. Mary (1866-1898) was the wife of Herman Cole Mansker, and the daughter of Stephen Kinnison and Catherine Callie Watson. 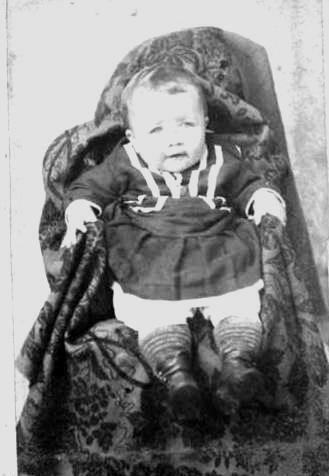 She was the mother of Baby Fern Lottie Mansker. 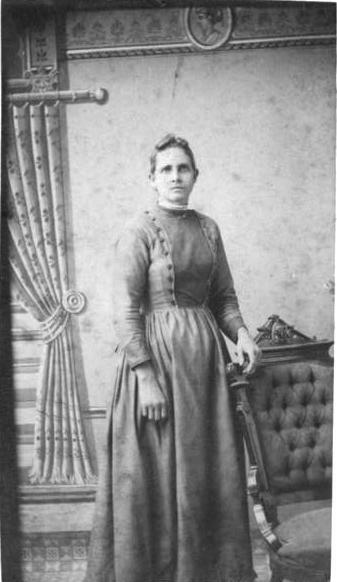 Mary (1866-1898) was the wife of Herman Cole Mansker, and the daughter of Stephen Kinnison and Catherine Callie Watson. She was the mother of Baby Fern Lottie Mansker. Photo taken circa 1874. 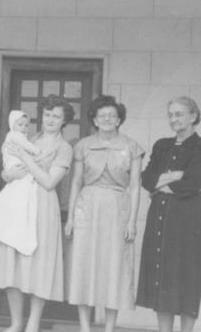 R-L: Lottie, Mary Adeline Fulford Edwards, Sharon Jean Edwards Hopkins holding John Hopkins. Lottie was the daughter of Herman Cole Mansker and Mary Kinnison, and the granddaughter of Samuel Mansker and Nancy Nelson. 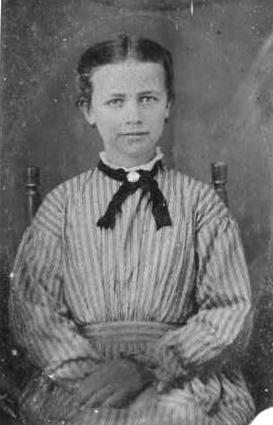 "Baby Lottie" was the daughter of Herman Cole Mansker and Mary Kinnison, and the granddaughter of Samuel Mansker and Nancy Nelson. She grew up to marry Jewitt Fulford. Photo taken circa 1886. 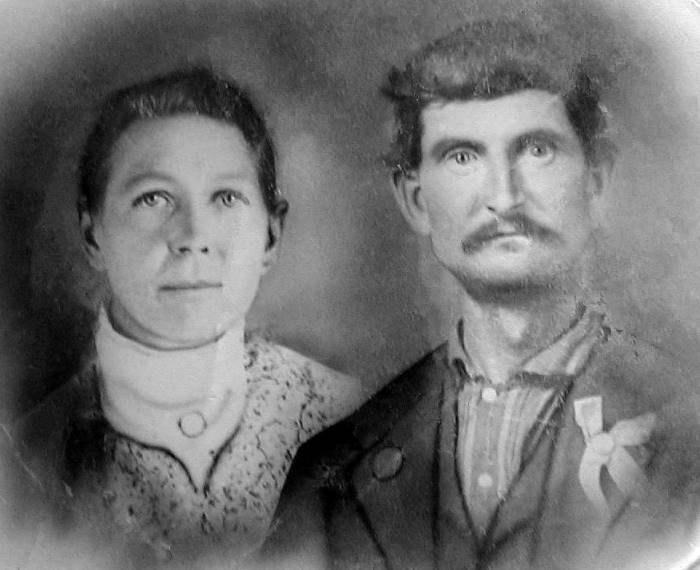 Henry was born in Randolph Co, IL on April 9, 1861 and died Aug 5, 1942 in Sidney, MT. 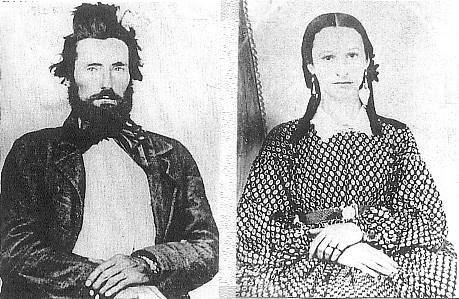 He and Susan were married on Dec 22, 1880. He was the son of John Moore and Larancy Mansker, and consequently the grandson of Samuel Mansker. Photo taken circa 1912. William Wallace was a son of Samuel Mansker and Nancy Crawford. He was the son of Samuel Mansker and Elizabeth Bartel. 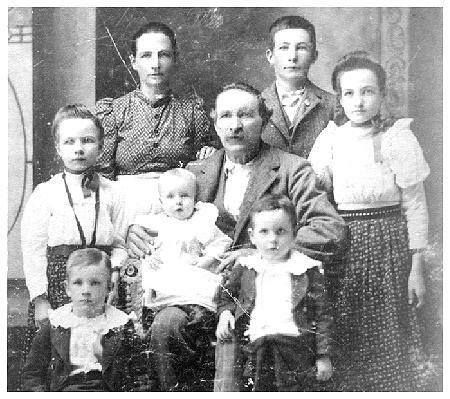 The children have been identified as follows: Ruth A., Thaddeus and Sadie L.(standing); Aaron Homer, Daisy Ethel on Thaddeus' lap, and Telford Dewey (front).